We've reached the stage of maturity in American brewing when each year brings a raft of milestones for one of the founding brewers or breweries. I comment on very few because just surviving doesn't count as much of an accomplishment on its own. There are some exceptions, and John Harris, who will be celebrating his thirty years as a professional brewer next Thursday, is certainly one. Let's trot briefly through the highlights. 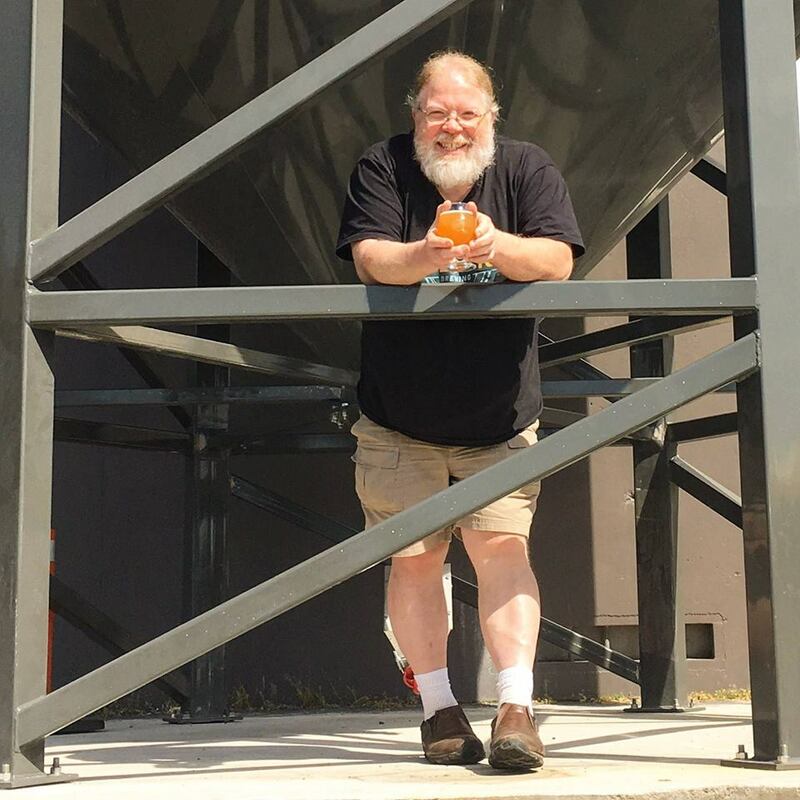 In 1986, he started his brewing career at the McMenamins, got a couple of years experience, and then joined Gary Fish to help launch a little start-up brewpub in Bend called Deschutes. In those early years, John gave the world Cascade Ale, Bachelor Bitter, Black Butte Porter, Mirror Pond, Obsidian Stout, and Jubelale. He came back to Portland to work for Full Sail at their RiverPlace brewery, and stayed there twenty years before starting his new solo venture, Ecliptic, in 2013. More than any other brewer, his fingerprints are all over Oregon beer. I started Brewing in April of 1986 at the Hillsdale Brewpub in Portland. It has been a long strange ride! I am very proud of all my years making beer for a living. I have created many beers over those years but there is one I am linked to more than any other. I brewed a special beer, Reflection Nebula Pale Ale, to celebrate this 30 year milestone. I invite you to join me for a beer to celebrate on April 28th at 6pm. What would you likely see your reflection in? A mirror, you say? I think we can connect the dots well enough. No brewer more deserves a victory lap than John, and this one is open to the public. I expect it will be a mob scene, because I know more than a few people who speak sotto voce in reverence when they catch sight of John--as if the pope had just walked by. And they're sort of right. I wouldn't miss it for the world.